The british museum contains thousands of images of people from a huge variety of cultures and periods of history. Few however are actual portraits that attempt to show what a person really looked like. The identity of this woman drawn by the artist Hans Holbein is no longer known, but she was probably a lady from the court of the English king Henry VIII (reigned 1509-47). She is drawn in red and black chalk, with touches of bodycolour to highlight her features. 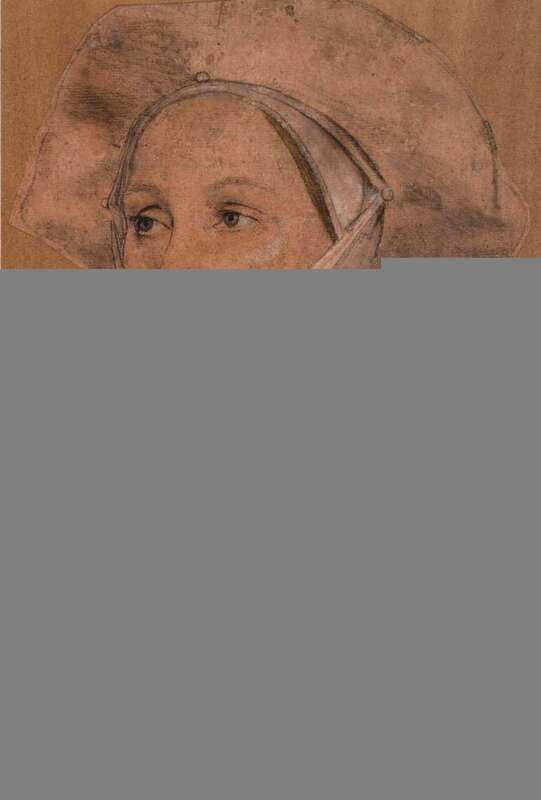 Holbein used black ink on the point of a brush to reinforce the edge of her cap and facial features. Her eyebrows and eyelashes are particularly delicate. The original paper was prepared with a soft pink ground, which suggests her flesh tones. At some stage, however, the drawing was cut out from its original paper and laid down on another sheet, so that the figure is now silhouetted.